A Functional Design Should Include LED Lights, a guest post written for Anna Rodé Designs. A functional design should be at the heart of everything you create. Whether it be a house, office space, website, or almost anything else, the functionality is essential. It determines how things flow together, how well it meets your needs or the needs of the client, and if it can fulfill its intended purpose. When it comes to the functionality of the interior design, there are multiple aspects to consider. You want to look at how you move through each room, how efficient the house runs, and if the property is livable for a long time. The goal is to have a resident who is happy with the finished product. Something often overlooked though, is the lighting within the design. How you install the lights, the type of fixture used, as well as what bulb you purchase all affect the functionality of a home. That is why lighting, more specifically, deciding what type of light to use, should be at the forefront of the design process. In the case of functional design, LED lights are the way to go. Light Emitting Diodes (LED) light bulbs have taken over the lighting industry, as they continue to phase out incandescent bulbs. The growing technology of LED lights has made them one of the most, if not the most, energy-efficient light bulb on the market. In fact, the United States government has pushed for residents to switch to ENERGY STAR rated LED light bulbs (an initiative started by the government in 1992). 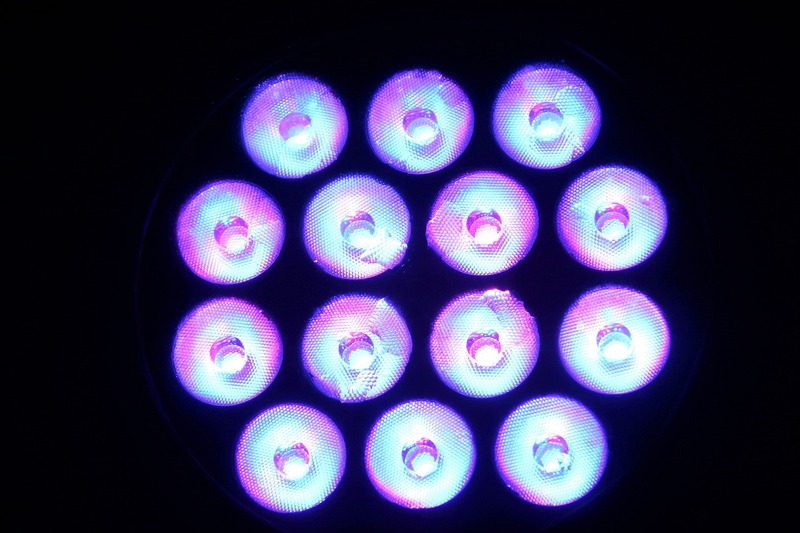 What makes LED lights so efficient is their energy consumption. These bulbs use at least 75 percent less energy than that of an incandescent. Add that to the fact they can last up to 25 times longer, and you have a bulb that is functional by providing light and by saving money. If you stand under an LED light, and then move under an incandescent bulb, you’ll soon notice a difference in temperature. 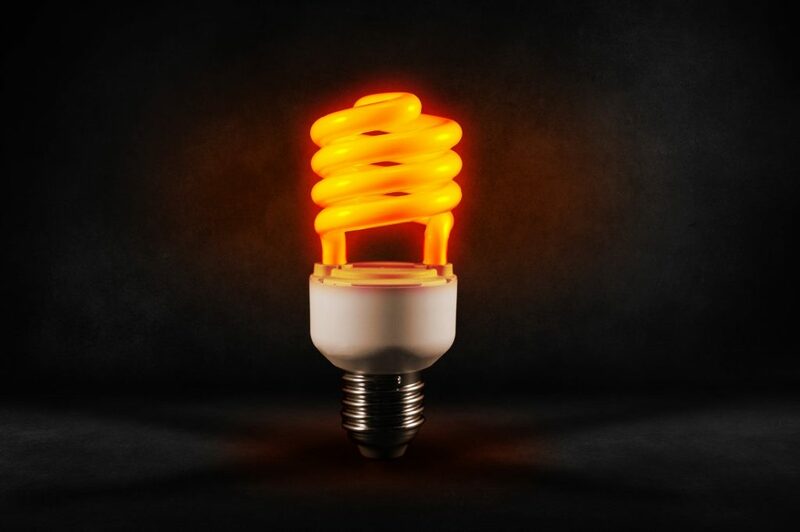 That is because an incandescent bulb only uses about 10 percent of the energy to produce the light and 90 percent is released in wasted heat. Although an LED bulb will still generate heat, it is minimal compared to its counterpart. Since an LED light bulb consumes significantly less energy than an incandescent bulb, your house requires less power. Reduced residential power use means the power plant can generate less power, resulting in lower greenhouse gas emissions in the atmosphere. In 2012, the government documented around 49 million LED light bulbs installed into US homes. That switch resulted in roughly $675 million in savings in one year. With the continuous push toward LED light bulbs, that savings amount will only increase over time. In the United States, about a fifth of the energy consumption comes from lights. Imagine how much greenhouse gas emissions we could cut if we reduced that amount. In fact, one LED bulb could diminish emissions by nearly half a ton and bring energy consumption for lights to about five percent. We’ve looked at how LED lights last longer, save money, and reduce power consumption, but how user-friendly are they? The versatility of LED lights is almost endless, making them a fundamental choice in the functionality of your home. LED lights come in a wide range of colors that allow you to be more creative with the design of the property. If you are trying to achieve a warm and romantic atmosphere, there is a color scheme available to complete the desired look. The availability of multiple colors enables you to complete a particular look more effectively and efficiently. LED lights also allow you to be more innovative with a design. They work great in recessed lighting, backlighting, or for spotlights. In most cases, LED lighting can achieve any design you desire. If you are building a new home or remodeling an existing one, include LED lights in your design process. It is also worth switching any existing lights over, as you will notice the efficiency of them by how much money you save each month. By using LED light bulbs, you will also be doing your part in helping protect our environment. If you do not require as much power to light up your home, there will no longer be the need of building new power plants across the country, resulting in the reduction in harmful greenhouse gases entering the atmosphere. The functionality of a house means the design is set in a way for rooms to flow and meet every need of the resident. LED lights will help achieve this goal innovatively and creatively.